An exclusive interview with the iconic human rights leader and president of the Grandmothers of the Plaza de Mayo. This Saturday, in the Buenos Aires Times. In this Saturday’s Buenos Aires Times, we’re focusing on human rights and the upcoming #8M march. Estela de Carlotto’s story as a human rights activists began in late 1977 when her daughter Laura was kidnapped by a military death squad. 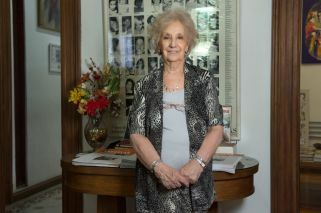 Since 1978, she has been a key member of the Grandmothers of Plaza de Mayo. Today, some 40 years on, she leads the organisation as the Grandmothers' tireless search for their relatives disappeared at the hands of the Junta continues. In this Saturday’s edition of the Times, Carlotto holds court on President Mauricio Macri’s administration, corruption, her relationship with Hebe de Bonafini, her grandson Guido, the future of her organisation and the Grandmothers’ dealings over the with the Kirchnerite administrations. Jayson McNamara brings us this exclusive interview, which arrives in the same week that Luciano Benjamín Menéndez, the brutal former general and commander of the Third Army Corps who was handed multiple life sentences for atrocities and crimes against humanity committed during the last military dictatorship (1976-1983), passed away. Also in this week's edition, we’ll be paying close attention to International Women’s Day on March 8, with a pair of pieces by Isabella Soto and Silvia Rottenberg. Soto will preview the march, consulting both the government and key feminist voices to get their take on the event. Rottenberg, meanwhile, covers the push for more equal representation and visibility of women in the arts, looking at the moves to shine a light on female artists. Elsewhere in local news, we’ll bring you news of the money-laundering claims facing Argentina’s intelligence chief, Gustavo Arribas, who becomes the first senior Argentine official in President Mauricio Macri's administration to be accused of wrongdoing in Brazil's sweeping corruption Lava Jato (Car Wash) investigation. We’ll also dive deep in President Macri’s speech to Congress, covering the issue with an in-depth report. It’s also the subject of this week’s editorial. In Latin America, we’ll bring you AFP's interview with former president Luiz Inácio Lula da Silva, and focus in on the presidential election in Venezuela, which has now been pushed back to May. Who will be challenging President Nicolás Maduro’s leadership of the crisis-stricken country? We’ll also bring you the shocking tale of Jan Kuciak, the Slovak investigative reporter who was shot dead with his girlfriend last week in what the Slovak prime minister called "an unprecedented attack on freedom of the press and democracy in Slovakia." Prosecutors believe that the notorious Calabrian crime syndicate the 'Ndrangheta may have been behind the killing of Kuciak, who was investigating high-level corruption potentially involving Slovak politicians. In Sports, Dan Edwards is on rip-roaring form as he addresses the Copa Libertadores, the group stage of which kicked off this week. Casting an eye over the results of Argentina’s clubs in the tournament, Edwards argues that CONMEBOL officials are in danger of hurting the tournament, prioritising cash over loyal fans. Finally, we’ll round things off with our columnists. 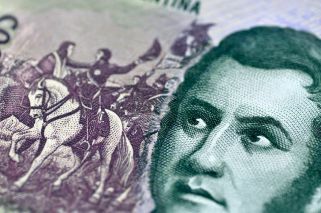 Agustino Fontevecchia will address Argentina and the media, Michael Soltys answers more economic questions, Andrew Graham-Yooll rolls back the years to talk censorship, while James Neilson tackles abortion, one of the hot topics in Argentina right now. All in all, it’s another packed edition of the Buenos Aires Times, Argentina’s only English-language print publication. As ever, you can find us this - and every Saturday - inside the Perfil newspaper.